McDonald's gets a lot of bad press for its low pay. But there's an even bigger offender when it comes to fast food companies underpaying their employees: Subway. Individual Subway franchisees have been found in violation of pay and hour rules in more than 1,100 investigations spanning from 2000 to 2013, according to a CNNMoney analysis of data collected by the Department of Labor's Wage and Hour Division. Each investigation can lead to multiple violations and fines. Combined, these cases found about 17,000 Fair Labor Standards Act violations and resulted in franchisees having to reimburse Subway workers more than $3.8 million over the years. It's a significant sum considering many Subway "sandwich artists" earn at or just above the minimum wage of $7.25 an hour. The next most frequent wage violators in the industry are McDonald's (MCD)and Dunkin' Donuts (DNKN) stores. The numbers only reflect unlawful acts that have been caught. To be fair, Subway has more than 26,000 locations throughout the country -- the most of any fast food chain -- so it might not be surprising that it also tops the list of offenders. That said, Subway's problems were considered serious enough to prompt the Department of Labor (DOL) to partner with the company's headquarters to boost compliance efforts last year. "It's no coincidence that we approached Subway because we saw a significant number of violations," a Department of Labor spokesperson said. In cases like these, the corporate parents like to draw a distinction between themselves and their independently operated stores. While Subway declined to comment for this article, both McDonald's and Dunkin' Donuts submitted comments to that effect. Dunkin' Donuts noted its franchisees "are solely responsible for all employment decisions at their restaurants," and McDonald's cautioned "against drawing broad conclusions based on the actions of a few". (Read their full comments at the end of this article). The fast food franchise model provides a layer of protection for Subway, McDonald's and Dunkin' Donuts. Even though fast food locations may look the same and restaurants abide by similar branding and business guidelines, each franchise owner is treated essentially as a small business. Meanwhile, the corporate parents can distance themselves from being found liable of labor violations. This makes the Labor Department's enforcement efforts harder. Consider that the agency can investigate a large company like Wal-Mart in one fell swoop and order changes to all Wal-Mart stores nationwide (as it did following certain overtime violations in 2012), but it cannot do the same for a chain restaurant. To crack down on wage violations in the fast food industry, the DOL has to investigate each franchise individually. Over the last few years, DOL has been doing exactly that, intensifying its focus on so-called "fissured workplaces." These are businesses in which there's an indirect relationship between the worker and the parent company that ultimately benefits from their labor. Not limited to just franchises, this category also includes companies that rely on independent contractors or staffing agencies. Restaurants and hotels in particular, are a major focus, not only because they fall into this category, but also because they employ a large share of low-wage workers. A 2009 study by several think tanks estimates about 18% of restaurant and hotel workers face minimum wage violations, 70% face overtime violations and 74% encounter what are known as "off-the-clock" violations, where workers are expected to do tasks without being paid. Common incidents include employers forcing workers to deduct a 30-minute lunch break, even though the employee didn't take a break. Some workers are forced to pay for a company uniform, which can be a violation if, after deducting that expense, the worker's hourly rate falls below the minimum wage. In a 2012 lawsuit, a Subway franchisee in Ohio, Hray Enterprises, was found in violation of labor laws after it failed to pay employees for the time they spent doing the nightly closing routine. For example, Hray Enterprises might say a worker's shift stopped at 10 p.m. when it actually took another half hour to shut the restaurant down and clean up. The franchise also made illegal deductions from employees' wages when there were cash register shortages, causing their pay to fall below the federal minimum wage. These were repeat offenses, and owners Joseph and Tammy Hray were ordered to pay $9,900 back to 72 employees. The Hrays could not be reached for comment. These are small amounts, but they add up for low-income workers. Some employers also try to skirt overtime rules by asking workers to sign contracts waiving time-and-a-half pay. Such was the case at a Subway franchisee in Michigan, Farha Group #4, which operated eight restaurants. Following a Department of Labor investigation, the company agreed to pay 53 workers back wages and damages totaling nearly $52,000. The Fair Labor Standards Act, known as the FLSA for short, requires most fast food employees be paid at least the federal minimum wage of $7.25 an hour, plus time-and-a-half for any work beyond 40 hours a week. Employers are also required to maintain accurate time and payroll records. In addition to the Department of Labor's investigations, there has also been a rise in private lawsuits related to wage and hour complaints. Lawsuits related to FLSA violations reached a record high in 2013, according to law firm Seyfarth Shaw. But few private cases have focused on the fast food industry. Instead, plaintiff's attorneys have gone after higher paying industries like financial services in pursuit of larger payouts. "It's only now that the fast food industry is getting attention from the private sector, probably because of all the organizing and workers speaking out," said Hollis Pfitsch, staff attorney for the Legal Aid Society. President Obama's push for a higher minimum wage and expanded overtime pay are increasing awareness about FLSA laws among workers, said Brett Bartlett, a partner at Seyfarth Shaw who has represented companies in more than 100 wage and hour cases and even written a book on the subject. "All of this chatter around minimum wage, overtime and these franchise issues is educating everybody about the laws," he said. "We're going to see an uptick in these cases." Unions are also pushing low-wage workers to organize. Seven lawsuits filed by McDonald's workers in March alleging wage theft, for example, come as part of a movement backed by the Service Employees International Union. In the McDonald's lawsuits, the workers' lawyers are arguing that the corporation should share liability with its franchisees -- a move that breaks with most prior cases. A similar situation occurred recently in a case filed by Domino's employees and argued by Legal Aid attorneys Pfitsch and Karen Cacace. While the original lawsuit was against a New York-based franchisee, the international corporation Domino's Pizza (DPZ) was added to the suit as a joint employer after employees alleged the company held control over hiring policies, training, staff uniforms, point-of-sale systems and time and pay records. The case was settled with the franchisee agreeing to pay back wages to 61 employees, and Domino's corporate parent agreeing to minor concessions. If McDonald's headquarters is found jointly liable in a similar way, this would be a big win for workers and could trigger more FLSA lawsuits filed against the mega fast food chains. 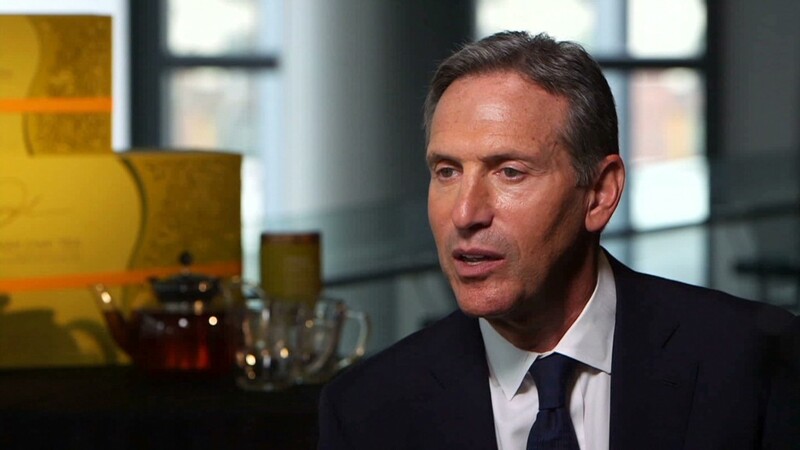 "For some of these restaurants, there are numerous, highly sophisticated plaintiffs' law firms that have sued the corporate operations before and are hungry to find a way to connect the dots between the franchise operations and corporations. There's a huge potential payoff," Bartlett said. Bartlett recommends restaurant corporations insist individual store managers participate in training programs and set up hotlines for workers, enabling them to anonymously report wage or hour complaints. While the corporate parents still need to maintain some distance, they can also include a line in their franchise agreements that gives them the right to inspect stores for compliance. "The corporate headquarters want to make sure that its franchisees are complying with the law, but there's a fine line that they have to avoid crossing. Overzealous compliance efforts might cause them to be deemed employers of the franchise employees," he said. It may not sound like much, but Subway's compliance efforts currently include inviting Department of Labor staff to speak at its annual meetings and publish articles in the company newsletter. The department also provides FLSA posters to new franchise owners. 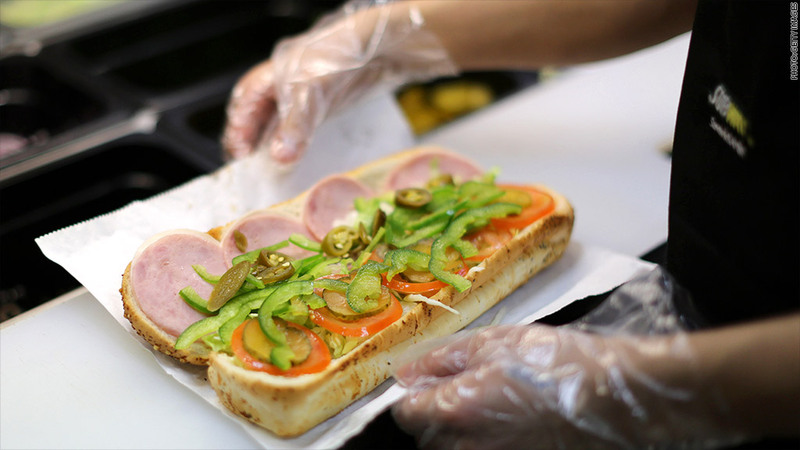 "We are quite excited at that collaboration that we do have with Subway," said Laura Fortman, principal deputy administrator for the Department of Labor's Wage and Hour Division. "We think it's significant and can be a model for others." As for workers, "They don't have to understand every complexity of the law. They need to know to just give us a call," she said. The Department of Labor has more information about wage and hour rules at www.dol.gov/whd and 1-866-4US-WAGE. McDonald's and our independent owner-operators share a concern and commitment to the well-being and fair treatment of all people who work in McDonald's restaurants. Whether employed by McDonald's or by our independent owner-operators, employees should be paid correctly. When McDonald's learns of pay concerns in restaurants which we own and operate, we review the concerns and take appropriate action to resolve them. We trust that our independent owner-operators do the same. McDonald's and our owner-operators employ separately but in total over 750,000 workers in the United States, and we caution against drawing broad conclusions based on the actions of a few. The Department of Labor report represents a very small percentage of cases per year involving the Dunkin' Donuts system, given that there are more than 7,700 Dunkin' Donuts restaurants independently owned and operated by our franchisees who employ approximately 120,000 crew members at any given time across the country. However, we and our franchisees, who are solely responsible for all employment decisions at their restaurants, take these matters seriously and are committed to the well-being and fair treatment of all crew members. - CNNMoney's Melanie Hicken contributed data analysis to this report.